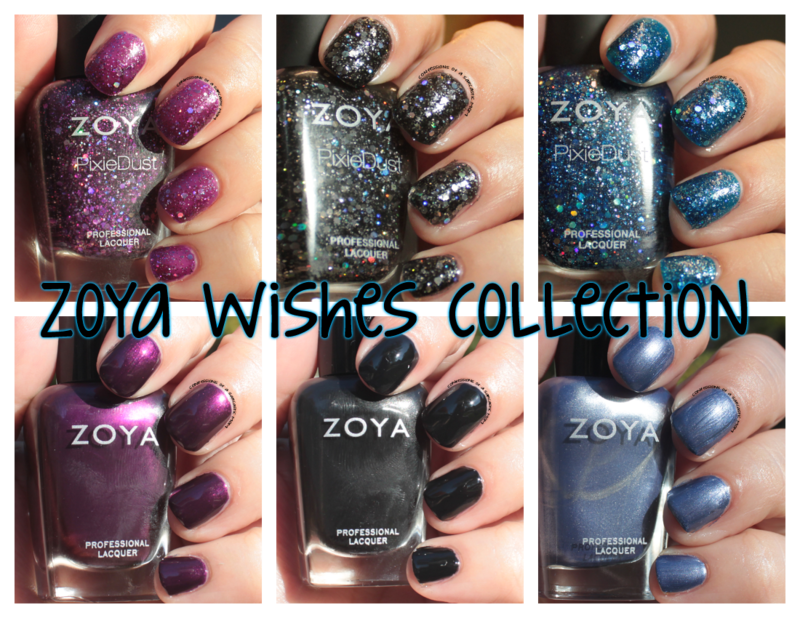 Zoya Wishes Collection for Winter 2014! 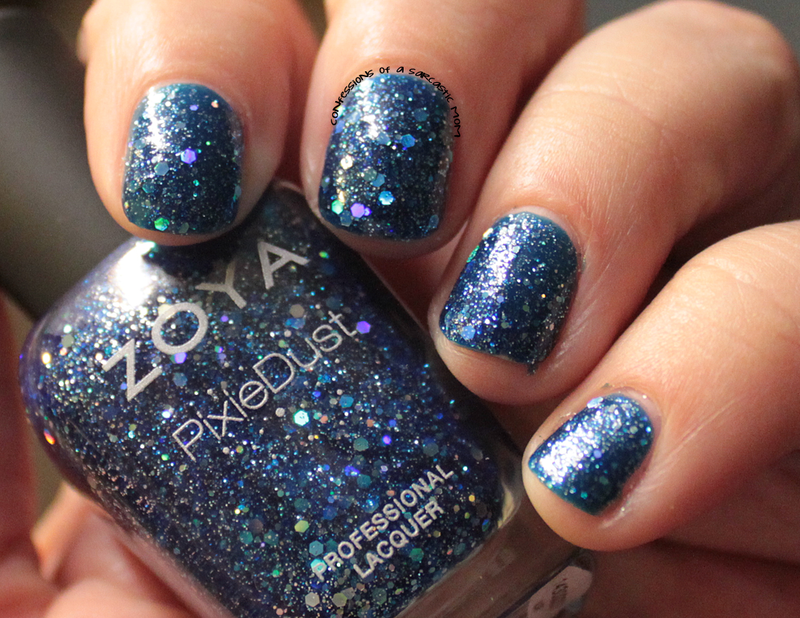 There's some new Zoya PixieDusts in the new collection! There are three Ultra Pixies in this collection, called Wishes. Remember how I fangirled over the names? Well, let's just say that I wish I liked the polishes as much as I like the names! Don't let me wrong, there are good parts of this collection, but what are my thoughts? Check them out after the cut! Let's begin with Thea. She is a very pretty purple Pixie, but her consistency doesn't leave Pixie on the brain when she's dry. Her finish tends to be more jelly-like, like other Ultra Pixies. I do like this, but not as a Pixie. 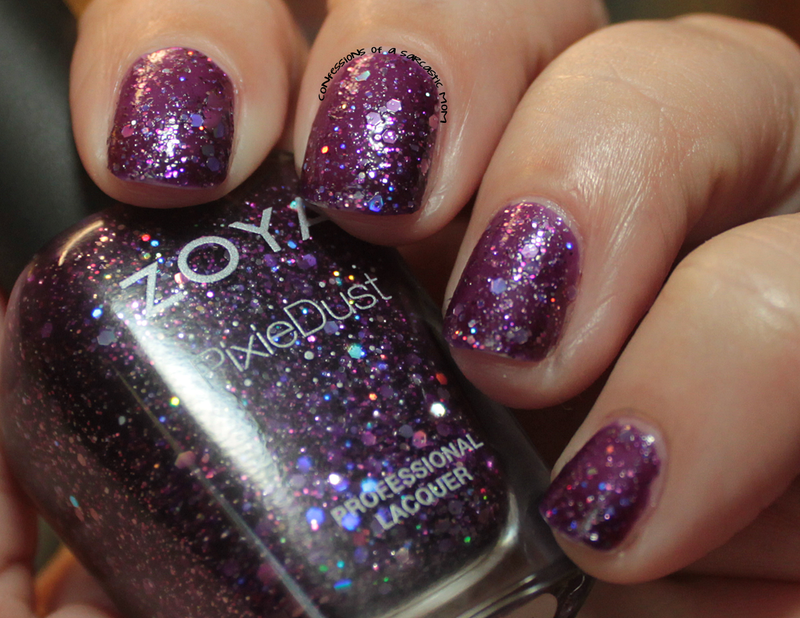 Keep it with a top coat and it's a gorgeous purple jelly packed with fun glitter! I feel the same way about Imogen as I do Thea. It's very pretty as a black glitter jelly. It is textured, but not in the same way other Pixies are. It kind of feels more like a chunky glitter with no top coat. And again with Nori. This is a stunningly gorgeous blue polish. I think this one is my favorite of this entire collection. But as far as it being a PixieDust is concerned, it doesn't act like them. I do really like the shade of this one and the way it shines! 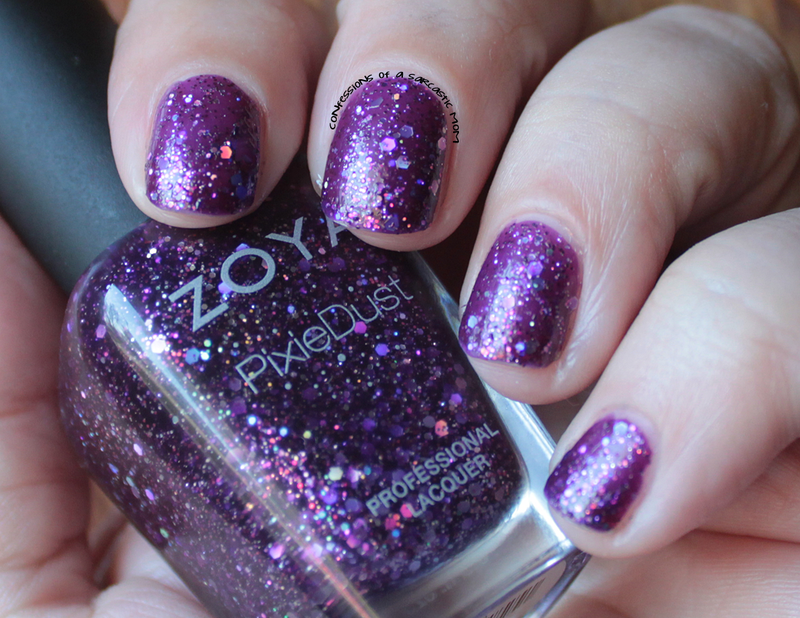 Taking you to the non-Pixies, we'll start with Haven, a plum purple that Zoya's site describes as "liquid metal." I'll believe it. The metallic finish makes the polish kind of look like it's swimming, which is amazing! This is a rich. vibrant color. Willa, Willa, Willa! I love this shiny black creme! Willa was originally released as "Black Swan" during Zang Toi's NYFW SS15 show. I just love how shiny this very pigmented black becomes when it dries. I had some trouble with Prim from the start. She's not really thick, she's just too metallic, if that makes sense. During application you could see every flaw, every imperfection in the blue velvet finish. And she bubbled. I think maybe she just didn't wanna have a date with my base coat or something. I may try her again when my nails are longer.